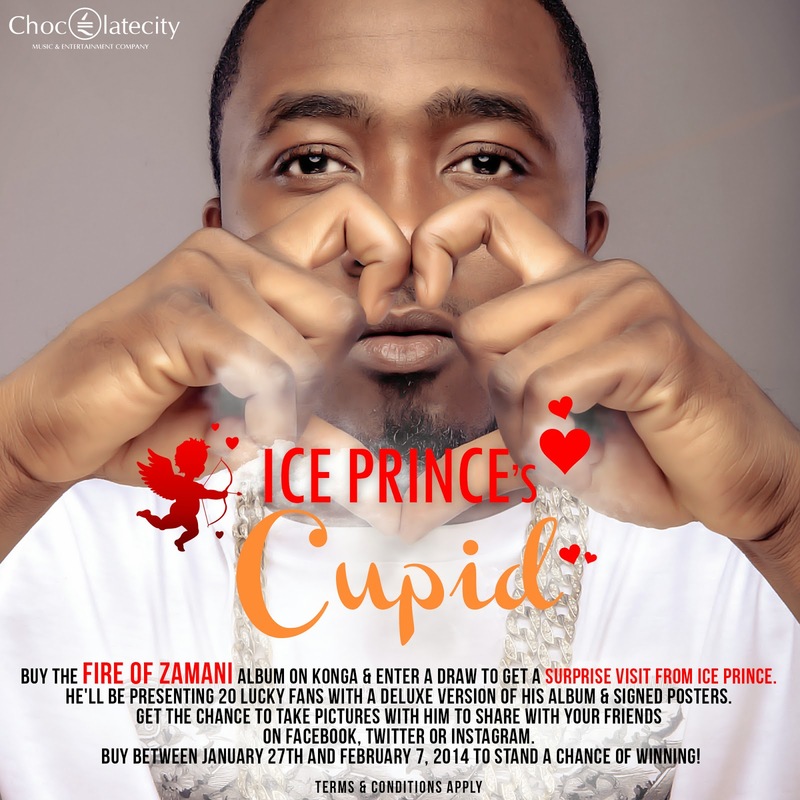 Award winning rapstar, Ice Prince has announced he will be delivering copies of his highly acclaimed second album, Fire Of Zamani to 20 lucky fans. 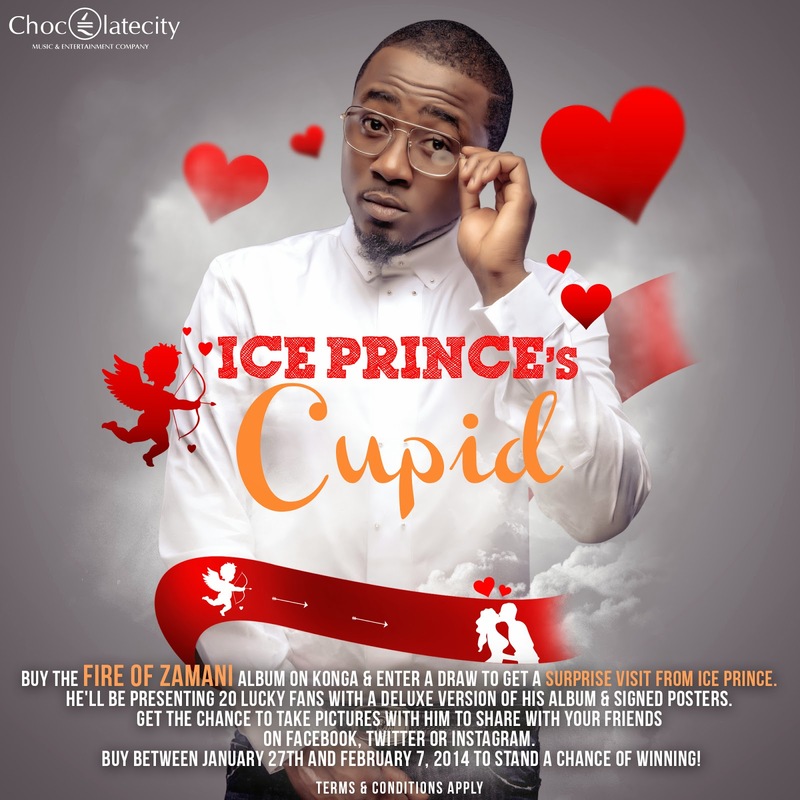 The hip-hop star will be delivering special copies to 20 lucky fans that purchased the album online via www.konga.com. This isn’t the first time Ice Prince is bonding with his fans; last year he hosted super fans from across the country at the Chocolate City office. One lucky chap even spent the night in his house! 'It's part of Chocolate City's plans to bring our artistes closer to the people that love them' says Aibee Abidoye, General Manager at the label. The specially autographed copies will be graced with a special note from Ice Prince, posters, lyrics and ‘never seen before images of Ice Prince. Deliveries will commence from February 10 to February 14, 2014.